The official League of Legends forums are absolutely abuzz over a what may be a leaked upcoming champion. 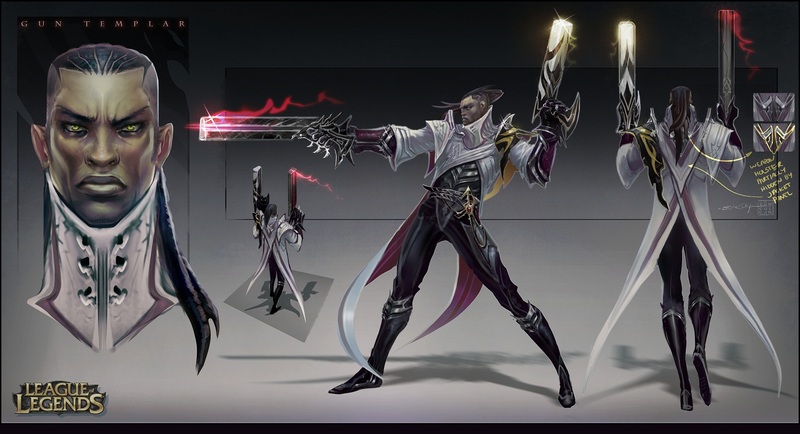 Named Lucien, the Gun Templar, this champion wields two different colored weapons. Rather surprisingly, he’s also colored, which is only worth pointing out because League is notorious for it’s lack of diverse skin color. Right now this should be taken as a grain of salt because there are many concept artists and the such that are not employed by Riot Games. The forums have deduced that this is the work of Eoin Colgan, thanks to the signature on the image. Looking at his web portfolio, this appears to be correct. However, it could have simply been a character concept that Colgan worked on during his free time. What do you think of the Gun Templar? Let us know in the comments below!